The five wardrobe heroes that will get you through winter. Winter dressing is all about layering. The aim of the game is to keep warm (obviously) but that doesn’t mean you need to look like a nondescript ball of scarfs, jumpers and coats. Enter; the 5 winter staples that will end your I-have-nothing-to wear woes. Check out the full feature (and short video) over on Maje here. You’d have to have been on an Instagram hiatus to miss the plaid fever that’s happening right . Expect the plaid blazer/coat/skirt/jacket (take your pick) to become the backbone of your winter wardrobe. Under dresses or skirts, or over denim, over-the-knee-boots are a guaranteed way to add attitude to any look (and keep your legs warm). Don’t relegate your go-to summer dress to the back of your closet just yet. 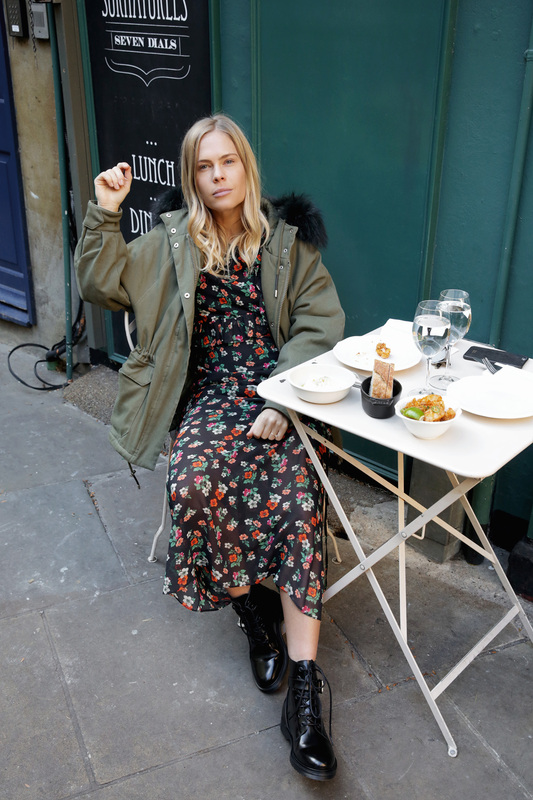 The ankle-grazing floral dress has more life in it yet, just layer it up with chunky knits, warm coats and sturdy boots. I get it, a mini skirt seems like an unlikely winter staple. But it’s the perfect balancing act for all those chunky knits, big sweaters and teddy coats. Pair with stockings and knee high boots; ’tis not the season to be flashing too much leg. Forever a winter classic, the parka is one of those pieces you can bring out from the depths of your wardrobe year in, year out. Wear with everything from floral dresses to denim.